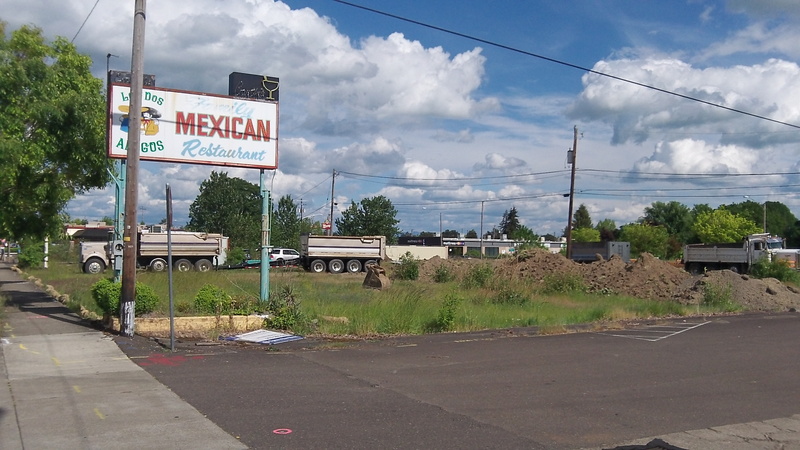 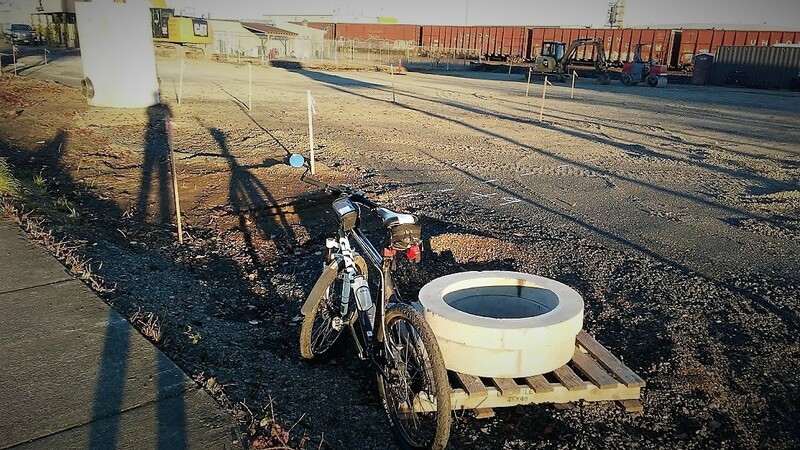 Every day for the last few years, thousands of drivers have passed the vacant lot where a Mexican restaurant used to stand between Albany’s Pacific Boulevard and Ninth Avenue. 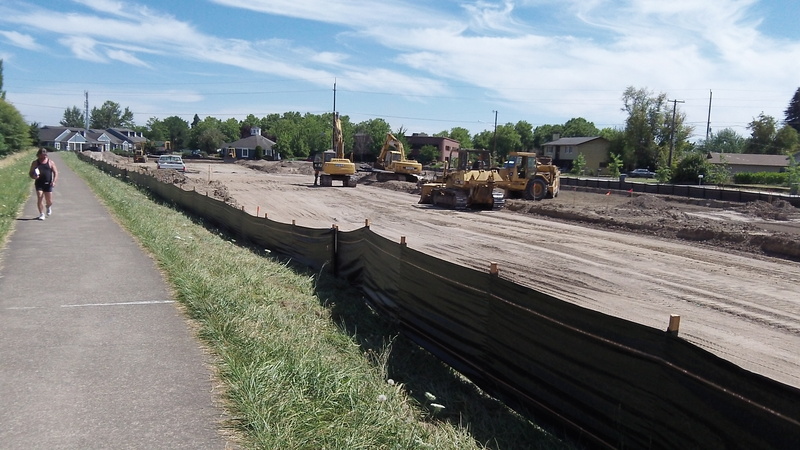 This week we saw something new: Trucks and excavation equipment where for a long time only weeds were to be seen. 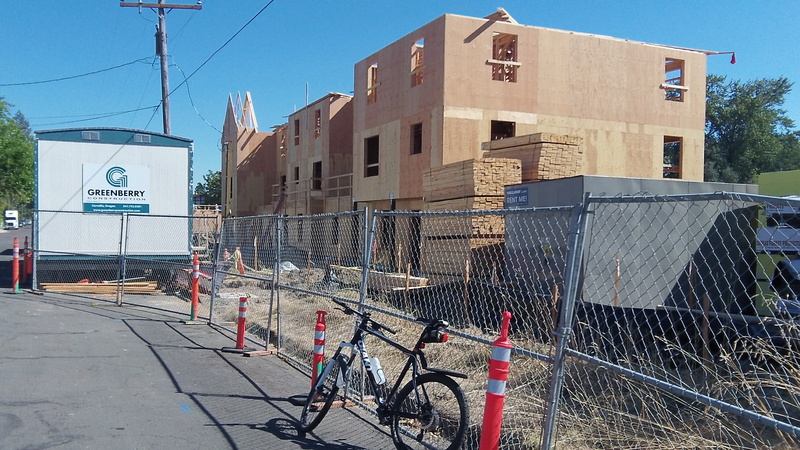 Riding around Albany in glorious weather on the last Saturday of summer, I noticed that construction doesn’t necessarily stop on weekends, at least not on the block of Pine Street between Second and Salem avenues.